The choice of majority of fitness enthusiasts in the present time, protein supplements are the new age phenomenon currently on the rise. They are available in a variety of different forms including protein bars, shakes, powders, gels and even capsules. No wonder, sales of protein supplements are rising steadily and it is expected to pass $20 billion by 2020 in the US. Making up 70% of the total protein supplement market, i.e. $4.7 billion, protein supplements and powders are a newfound way to lose weight, increase metabolism and build muscles when used along with exercise. Previously used by body builders, trainers and athletes, protein supplements have become a lot more mainstream now and many people use it daily as they are a quick substitute for adding protein in your diet. It’s important to ensure though that the supplement you consume contains both whey and casein protein. While protein supplements have their fair share of benefits and are an easy way of incorporating additional protein in your diet, their usage also has an unpleasant side which we need to be wary of. So, before you head to a vitamin store to invest in a jar of your own, it’s a good idea to weigh the pros and cons first. Athletes, body builders and fitness enthusiasts all require extra protein as they burn a lot of energy while working out. The protein powder is an easy and quick way to include the additional protein requirement into one’s diet. Ideally, meeting your body’s protein requirements should be through natural and whole foods, but protein shakes are also a good option for individuals with hectic schedules. Protein shakes with creatine, which is a nitrogenous organic acid made from amino acids, is reported to improve performance in a short term, high intensity, repetitive exercise. 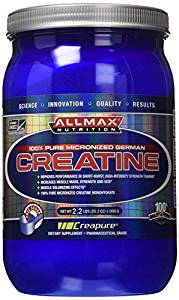 Powders that have creatine along with HCL such as Allmax creatine provide more strength, better muscle performance and faster recovery post-workout. If you want to put on weight but have a poor appetite or if you’re not a foodie, a protein supplement can come to your rescue. When mixed with milk, it can be a quick yet not so filling source of additional calories. You can’t carry your lunchbox filled with some lean meat and carbs with you all the time, however you can easily carry a bottle along with some protein powder which you can conveniently mix in some water or milk. Moreover, protein powders provide you with a boost of protein without the added fat content. Costs of protein powders have drastically gone down making it accessible to more people. Athletes are provided protein powders through sponsorship which makes it easy for sponsors and also athletes to meet protein requirements even if they do not have access to protein filled food. Protein supplements have been made accessible and affordable but their correct use has not been understood as yet. The truth is that most people do not require protein powders. The Department of Health says that men should have a daily intake of 55.5 grams of protein, whereas women should have an intake of 45 grams. More than double the intake of protein is harmful for one’s body. Protein shakes contain 20-40 grams of protein per serving. Comparatively, a chicken breast piece contains 30 grams of protein. Hence, the artificial means of protein supplement is not required and excess protein can be damaging to our bodies. Although used widely, there is still not enough evidence to support the benefits of protein powders. There is no clear relationship between protein powders and growth of muscle mass, tissue repair or faster muscle recovery after intense exercise. Excess protein in the body can cause osteoporosis, kidney stones and even aggravate kidney problems. Moreover, side effects of use of protein powder include nausea, dehydration, cramps, constipation, bloating, loss of appetite, fainting, and increase in bowel movements. It is being revealed how protein powders are packed with harmful substances such as steroids and stimulants. These harmful ingredients may cause kidney failure, heart conditions and even seizures. Furthermore, sometimes they even contain illegal substances. There have been incidents where professional athletes have been suspended for doping and upon investigation it was discovered that the banned substance was present in their supplement. A recent BBC documentary revealed that some protein powders actually contain just 2% protein which is close to none! Moreover, the protein quality is so poor in some instances that our bodies would be better off not consuming them at all. Protein powders are marketed as meal replacements but they are not nutritionally balanced to be substituted as a complete meal. Hence, some supplements will provide you with an excess of protein but they can also lead to nutritional deficiencies which can take a toll on your bodily systems. Some protein supplements that also contain fat and carbohydrates have a high calorie content. And hence, they can lead to weight gain if the user does not indulge in an adequate amount of high intensity exercises. Although the prices of protein powders have reduced and they have become affordable for many people, that does not mean that they are cheap. Genuine food items such as banana, peanut butter on whole wheat toast and hummus are a much cheaper and more beneficial form of protein and an ideal post workout snack. Not all protein supplements are harmful to health. They are useful for athletes and high intensity fitness fanatics. The key is buy protein powders and supplements made by reputable companies. They are also convenient when cooking facilities are not available. If you belong to the lot of individuals who goes to the gym for a moderate level of exercise, you should refrain from using them altogether. Also, even if an athlete is burning over a 1000 calories in a gym session, he should be well versed with the ingredients of the protein supplement he is consuming. It is ideal that protein makes up 50% of the total nutrition of that supplement. This entry was posted in Fitness, Supplements and tagged fitness, supplements. Bookmark the permalink.